How to block and filter unwanted web content on XBox, Playstation, iPad, iPhone, Android smartphone, Smart TV and more? Unlike 10 years ago where the only device for accessing the internet is a laptop or desktop, today, almost every device can access the web, therefore parental control software doesn’t make any sense. The best method is to set the DNS IP Address in your home router, this will filter all traffic from all devices that uses the router for internet access, unless the smartphone has mobile internet. How do I set up parental controls on my computer? How to configure common routers to use DNS for Huawei HG8245H, TP Link CR700, 3COM, Actiontec, CenturyLink, Apple, Arris (Motorola), ASUS, Belkin, Billion, Buffalo, Bell Connection Hub (Sagemcom), D-Link, Digisol, DrayTek Router, Google Fiber Router, Huawei, Inteno, Linksys, Netcomm, NETGEAR, Rosewill, Sagecom, SkyDog, Speedtouch, Cisco, and Speedstream Router Configuration. I highly recommend OpenDNS FamilyShield and Norton ConnectSafe, both are equally good in filtering websites and does the job automatically without any software. Unlike software, DNS works on any computer, laptop, tablet, smartphones, Xbox, Playstation or any devices. It works on Windows, Mac, Linux, iOS, Android and every single operating system. And Yes! 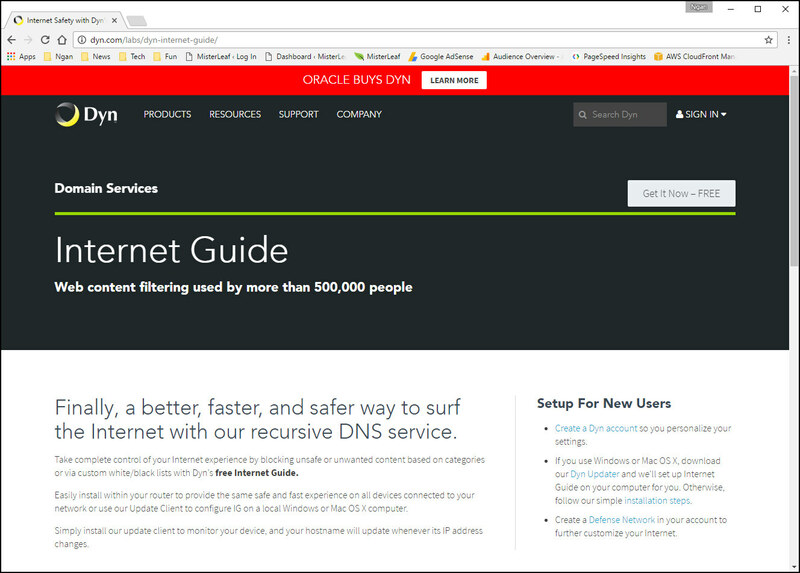 DNS filtering works on all browser including internet explorer, chrome, firefox, safari and more. That is the beauty of DNS, it is a gateway. 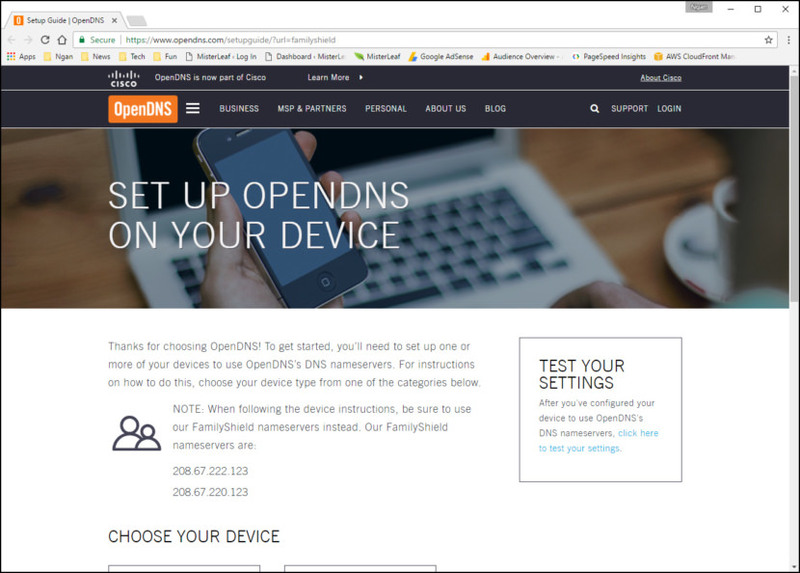 OpenDNS Home is a free internet based parental control solution which allows parents to manage web access on every device that accesses the Internet on a home network including, wired and wireless computers and laptops, network enabled game systems and internet enabled wireless devices such as iPods and ipads. Works great on Microsoft’s Windows 10 and Apple’s macOS. OpenDNS categorizes websites into 56 categories, like “adult,” “games,” “academic fraud” and “social media.” Parents can block entire categories of content, or just choose to block individual websites that are problematic or unsafe for your family. Or, for easier setup, you can choose a filtering level: low, medium or high. The low filtering level blocks just adult content, where the high filtering level blocks adult content, social networking sites, video sharing sites and more. Yandex has over 80 DNS servers located in different cities and countries. Each user’s queries are processed by the server closest to him/her, that’s why sites open faster with Yandex.DNS in “Basic” mode. Many users want to protect themselves and their children from adult sites. Yandex’s family search algorithms can detect not family friendly keywords. 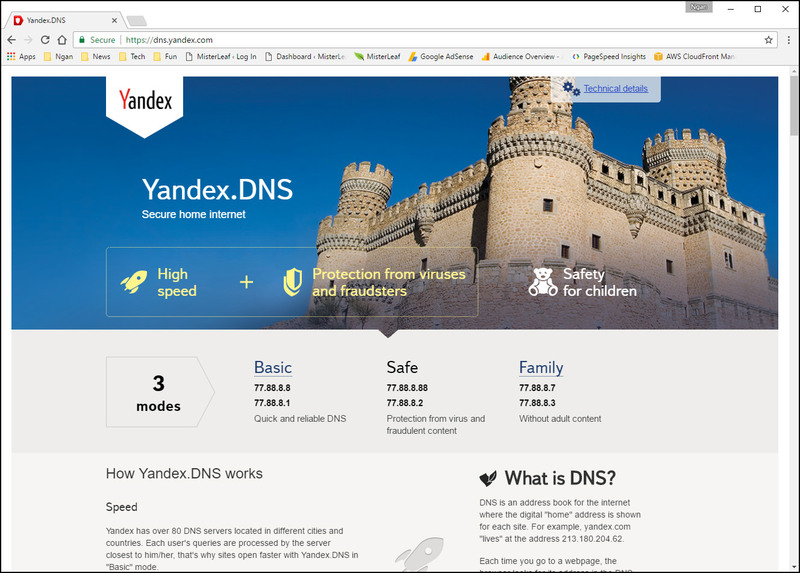 When opening an adult site on a computer or in a network with Yandex.DNS in “Family” mode, the user will only see a closure. As a leading provider of computer security solutions, Comodo is keenly aware of the dangers that plague the Internet today. Secure DNS helps users keep safe online with its malware domain filtering feature. SecureDNS references a real-time block list (RBL) of harmful websites (i.e. phishing sites, malware sites, spyware sites, excessive advertising sites, etc.) and will warn you whenever you attempt to access a site containing potentially threatening content. Directing your requests through highly secure servers can also reduce your exposure to the DNS Cache Poisoning attacks that may affect everybody else using your ISP. 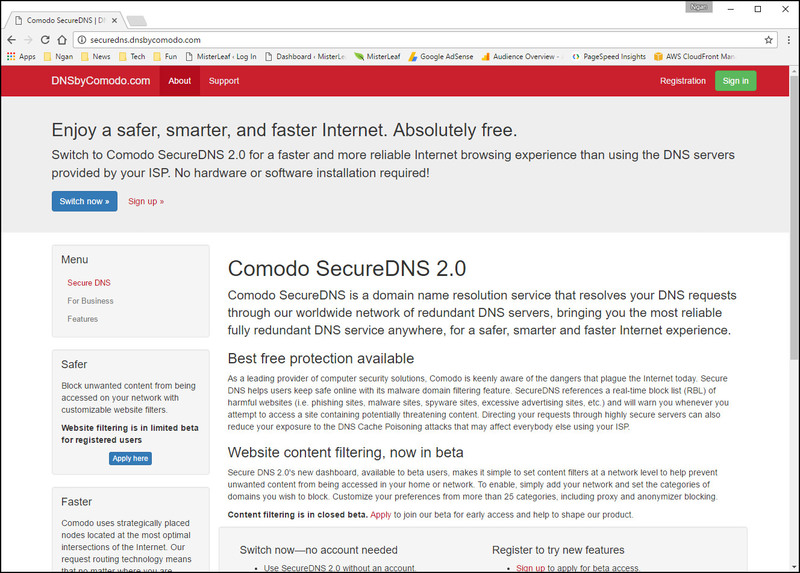 Secure DNS 2.0’s new dashboard, available to beta users, makes it simple to set content filters at a network level to help prevent unwanted content from being accessed in your home or network. To enable, simply add your network and set the categories of domains you wish to block. Customize your preferences from more than 25 categories, including proxy and anonymizer blocking. 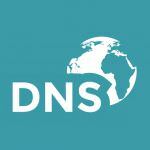 Finally, a better, faster, and safer way to surf the Internet with our recursive DNS service. Take complete control of your Internet experience by blocking unsafe or unwanted content based on categories or via custom white/black lists with Dyn’s free Internet Guide. 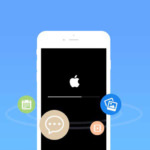 Easily install within your router to provide the same safe and fast experience on all devices connected to your network or use our Update Client to configure IG on a local Windows or Mac OS X computer. Simply install our update client to monitor your device, and your hostname will update whenever its IP address changes. Norton ConnectSafe is a free service that provides a first layer of defense by blocking unsafe sites automatically. 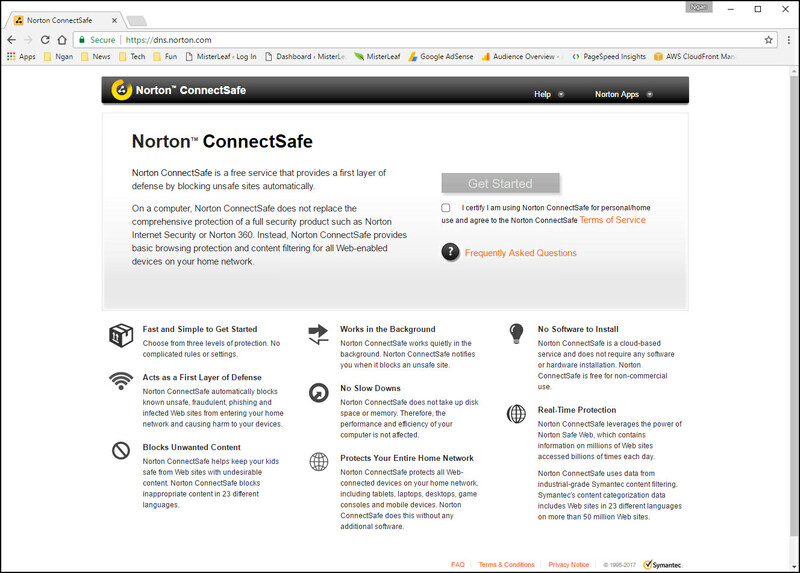 On a computer, Norton ConnectSafe does not replace the comprehensive protection of a full security product such as Norton Internet Security or Norton 360. Instead, Norton ConnectSafe provides basic browsing protection and content filtering for all Web-enabled devices on your home network. Blocks Unwanted Content – Norton ConnectSafe helps keep your kids safe from Web sites with undesirable content. Norton ConnectSafe blocks inappropriate content in 23 different languages. Microsoft’s free parental controls software, Windows Live Family Safety is the best!!!!! How Parental Control Software Helps You. Block bad websites; No workarounds? I’m not very good with computers. Is K9 difficult to install? 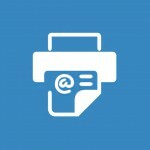 Download Qustodio Free Parental Control! The problem I’m seeing with these services is they seem to be “all-or-nothing”. I may want to block sites for some devices in the house, but not others. I may want to block certain sites at certain times of day. Blocking “not family friendly” sites is a simple enough task, but I’m looking at sites like YouTube, and various gaming sites. I might want to block YT on certain devices but not others. Or I may find I need to block gaming sites at specific times of day on certain machine; such as when homework needs to be done, and your children are using their school Google Docs account. They need internet access, but also need not to be distracted by anything that doesn’t relate to school work. But maybe later on it’s OK. These are things that ideally should be done at the router, but pretty much all home routers’ software is lacking in dynamic configuration (such as pre-defined profiles that could be activated as needed). Can’t be done at the device level because some (such as game consoles) won’t and probably can’t support that sort of add-in, and the commercial packages for PCs are for MSWin and MacOS only. Use the DNS on your router, but on your device, use your isps dns or googles.